Sadda Pind is the perfect place to experiencing the authentic lifestyle of Punjabis. 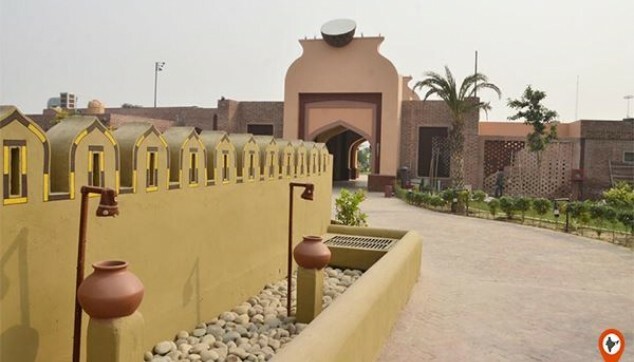 It is a Punjabi village resort which built in a style of village lifestyle offers cultural & traditional activities, Punjabi cuisine, and showcases Punjabi specialties like fulkari work, Amritsari juttis, etc. You can visit the entire Punjab inside this 12-acre land. Learn how to do famous fulkari work on fabric. Trnasfer service from hotel to Sadda pind through an air-conditioned Car. Shop some Punjabi handicraft items. Sadda Pind is the best tourist place in Amritsar. Stay experience at Sadda pind is one of the unforgettable experiences as the place offers a lot of fun, celebration, and liveliness. Our chauffeur will pick you up from hotel/Airport at around 2:30 pm to the Sadda Pind village resort. After check-in, you will see the resort and the rooms are adorned in Punjabi style of furniture, handcrafted doors, mini-bar in rooms, and beautiful interior. 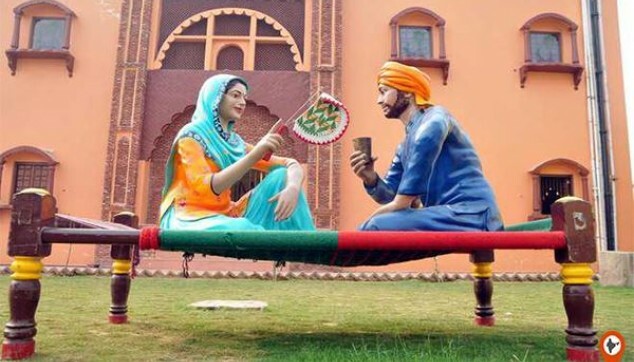 Around 3:00 pm, your Sadda Pind Amritsar tour package starts with visiting the farmer house where you can enjoy Chatti di Lassi, Makki di Roti and Sarson da Saag; you can try your hand on spinning charkha, learn how to do fulkari work on clothes at Fulkari house, visit Weaver house, weapon house, wedding hall where you experience the traditional wedding style of Punjabis, Sarpanch House, Zamindar Haveli, Potter House, and much more. Sadda Pind night tour experience you the real fun, vibrant colors, and also shows you the Punjabis who are always in mood of celebration. Sadda pind Amritsar tour also gives you the chance to enjoy head massage, magician show, fun rides, Sikh Martial Art called Gatka, and Punjabi traditional folk dance. Punjabi are famous for their delicious & tangy food, the place offers you the authentic taste of Punjab with serving the food like Kadhi Chawal, Chole Kulche, Amritsari Naan, Makki Di Roti, Sarso ka saag, lassi, kulfi, Jalebi, rabri, etc. After the mouth-watering dinner, enjoy a comfortable night at the guest house. After having a delicious Punjabi breakfast in style of Punjab checks out from the hotel. 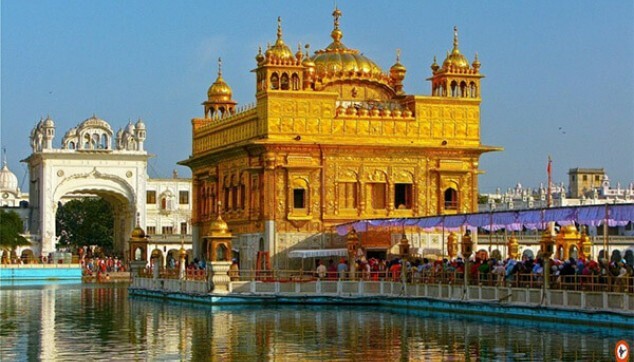 Our chauffeur will drop you back to the hotel/Airport for your further journey and with this, your one night Sadda Pind Amritsar tour terminates here. 1 night stay at Sadda pind. Package Validity 01Apr 17 – 30 Dec 18. I believe the trip was a very amazing one. A very good experience at Sadda Pind and tasty food. Loved it! I have friends from Punjab and I love their culture. When I visited Sadda Pind, I got a taste of Punjab culture and heritage. The cuisine was tasty. Enjoyed Gida, Bhangra, Jago, Sikh Martial Art performance. Cheers! Planned to checkin at hotel and go to Wagah Border but we got late and could not get tickets. So we went to Sadda Pind. Basically they ve given theme of bustling village where you will get makki ki roti and saag and lassi. One can experience authentic culture, colors and flavours of Traditional village. You can see mud houses and other punjabi culture. Also activities like Gida, Bhangra, jago, sikh martial art, pottery, pupet show etc can be seen. You will get lunch there itself so not bad for spending a day there under 1000 bucks. They have guest rooms there so one can plan to stay. Enjoyed every bit of the trip in Amritsar. Sadda Pind is a gateway to the authentic taste of Punjab. Thanks Team!